Welcome to Vegas, baby! A city that never sleeps: home to top-notch restaurants, frenzied spinning roulette wheels, busy black jack tables, dazzling bright lights, glitzy champagne bars and extravagant shows. The MGM Grand is rocking to the beat of the world’s best recruiters gathered in one location. It must be LinkedIn Talent Connect time! Talent Connect looks particularly exciting this year with many awesome speakers and topics. We are extremely honored and humbled to have been selected as main stage keynote speakers. We have a lot planned! So what can you expect from us? Our session focuses on the Autodesk recruiting journey and looking at the relevance of Recruitment 3.0 & 4.0. As part of the session we will reveal, for the first time, Recruitment 5.0, the final paper in the trilogy looking at recruiting in the future. As part of the takeaways of this year’s conference you will have access to a free download of an in-depth paper focused on "Next Generation Recruitment." This paper will present many new ideas and strategies for your consideration. We'll make this paper available here for download from the 'Recruiting with LinkedIn' blog. But that is not all. We have one final surprise for you. We are planning a little something in the course of our presentation that will be long remembered after we sit down. The catch? You must be there (or watch the live stream) to witness it! Recruiting isn’t easy. At times it can feel like we are in the middle of an episode of Mission Impossible as hiring managers with unrealistic expectations ask us to find X new hires to start tomorrow with zero budget. Scenarios that all recruiters know too well. 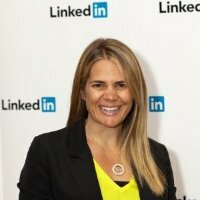 That’s why LinkedIn Talent Connect is so important. Attendees have the opportunity to hear experienced recruiting leaders talk about their challenges and share their solutions. Whether it’s listening to main stage speakers and panel discussions or networking at the bar or pool party, Talent Connect is a great place to listen, learn, share, debate and help advance the recruiting profession. There is no profession more rewarding than recruiting. Recruiting can have the biggest impact on an organization. Literally what we do can make or break a business. If we attract average talent it impacts the quality of work and ultimately the financial profitability of that business. If we attract the best talent it strengthens an organization. The impact on the bottom line can be phenomenal. This is why CEOs are being asked in earnings calls how they will attract best talent. Let’s celebrate what we do this week. If you see us please say hello and share your ideas! Amy McKee is Senior Director of Global Talent Acquisition at Autodesk, and Matthew Jeffery is Head of EMEA Talent Acquisition and Global Talent Brand. Don't miss their session on Thursday, October 11 at 3:30pm PST. If you're not attending Talent Connect, register for the live stream today.